Your computer crashes, is stolen or gets hacked...and you lose all the data on it all the presentations, spreadsheets, documents, photos, etc. How do you feel? You'd be devistated if you didn't have copies of your files somewhere else. There are a number of ways you can lose the data, but the outcome is the same: Information is usually lost and sometimes impossible or very expensive to recover. The best way to protect everything on your computer with relative ease, is to use an online backup service. And that's where EUROBYTE cloudDrive comes in. An online back-up service such as EUROBYTE cloudDrive continuously makes backup copies of your important files (the folders and contents you choose) and stores them remotely in the cloud. So, no matter what happens to your computerhard disk failure, malware, lightning strike, theftyou'd never lose your data. It's safely stored with Eurobyte cloud backup on our computer servers in the cloud, where no one can get it but you. Four reasons EUROBYTE cloudDrive is a great backup solution. Automatic backup. Eurobyte cloud backup is always on, so you don't have to remember to save files at any point of the day. It takes place even when you're not thinking about it. Easy file recovery. Whenever you want to restore or retrieve a file, all it takes is a few clicks. And we are just a phone call away in case you need assistance retrieving your file(s). Anytime, anywhere access. You don't have to be on your "home" computer to retrieve a stored file. 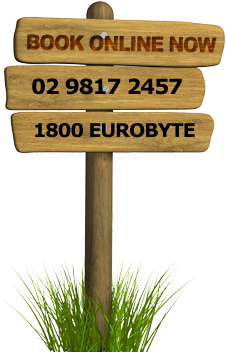 Simply go to your account on EUROBYTE cloudDrive from any computer with Internet access and you can retrieve any file that's been stored. Your information is always safe. EUROBYTE cloudDrive encrypts your stored files; there's no way a hacker or stranger can intercept, retrieve or read your stored data. Military-grade encryption, using advanced networking protocols and guidelines, prevents thieves from hacking Eurobyte cloud backup's network server defences. Easy setup. EUROBYTE cloudDrive is quick to install and configure. Once it's set up, it works in the background, backing up all your files so you never have to worry about doing it on your own. Easy file retrieval/restoring. The software will start restoring your files instantly. Even if your computer's hard drive fails or your laptop is lost or stolen, you can restore your files to any computer. Easy recovery from data loss. In all reality, cybersecurity experts are always a step behind hackers. Millions of computers crash or are hacked daily. With EUROBYTE cloudDrive, you can restore clean files just as they were before your computer became infected. 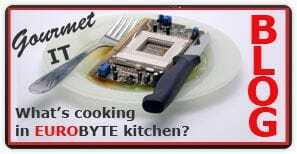 The basic EUROBYTE cloudDrive plan for a single home useryou and your computeris incredibly affordable, and there are other plans for more computers, external hard drives and businesses. Click here to contact us and get an online backup solution tailored to your needs. According to Google, "In the USA, 94% of people with smartphones search for local information on their phones. Interestingly, 77% of mobile searches occur at home or at work, places where desktop computers are likely to be present." Google figured that people no longer want to zoom in when reading website content on their mobile phones. Instead, they want to access information quick and easy. Therefore, as of early this week, website optimisation for mobile devices is no longer an option. If you wish your website to rank well on Google (when searched from mobile devices), your site has to be "mobile-friendly". This update applies to individual pages, not your entire website. You can use Google Mobile-Friendly Test to check mobile-friendliness for individual page(s) on your site. This new Google update is not affecting searches from desktops or tablets.